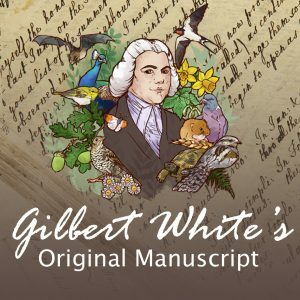 2018 is going to be a massive year for Gilbert White & The Oates Collections so here just ten tips of what to look out for this year! 1. See the results of our new project! We’ve been working hard behinf the scenes this year, and our renovations will be complete in April! That means a new shop and new café, new galleries! We will be launching the restoration in May so watch this space! On the 28th May we will be celebrating the world around us at our annual Nature Festival. We will have a day full of activities talks and tours and we can’t wait! Did you know if you buy a ticket once from the museum it lasts all year? No well know you do! Perfect if you want to visit before the restorations are finished and then afterwards! 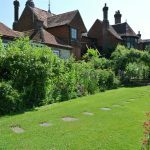 Why not visit the garden in every season? And don’t forget to Gift Aid! The Plant Fair is back on the 16th& 17th June with all your favourite unusual plants on sale, talks and expert advice! Our biggest event of the year! Got engaged over the Christmas period or know someone getting married in 2018? Then why not come along to our Wedding Fayre on the 29th April! Meet local suppliers and see our incredible wedding venue! We love Antarctica and are starting the year with a Antarctic lecture series! We have three fabtastic speakers to talk to us on a range of subjects from the extremes of walking through this hostile environment, to the conservation of it’s wildlife! Gilberts Games returns under a new guise of the Georgian Fair on the 4th & 5th of August. We will be going back in time enjoying 18th Century games, pastimes, crafts and food! We declare 2018 the year of Frank Oates with his new gallery set to be completed in April! 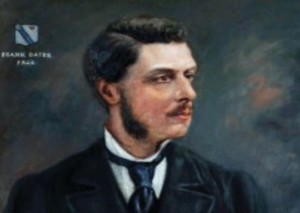 That coinciding with his 178th birthday on the 5th, we are celebrating all things Frank in April! Keep an eye out for lectures and lots of interesting facts about his life and adventures! The great thing about our hardens is that it doesn’t matter how chaotic the house is with refurbishments nor the time of year they are always our star attraction and different everyday! Perfect for winter walks, spring time adventures, summer picnics and autumn colour! We are so excited for our new café opening in April! With a brand new menu and new surroundings we can’t wait to start experimenting with local produce to create our old favourites and new favourites too! Your ticket for the: 10 tips for 2018!